SPECIAL ORDER. Available in 2-3 business once order is placed. 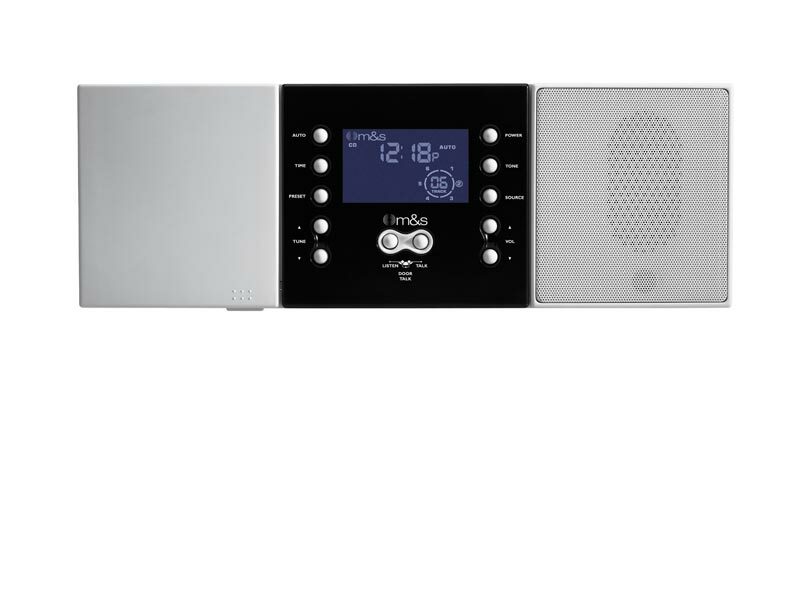 The Model DMC1 Music/Communication System Master (White) is a full-function intercom and music distribution system designed for residential use. The system supports up to 15 room stations and up to three door speakers. The built-in AM/FM radio tuner allows setting eight AM station presets and eight FM station presets. The backlit liquid crystal display shows the operation mode, audio source, radio frequency, volume setting, and time. With the optional Model DMC1MM iPlay Dock for iPod or Model DMC1CD Add-on 6-disc CD changer installed, the display shows the disc number selected and the track number currently playing. Room stations have pushbuttons that control the system operation. Room and patio stations connect to the master unit using standard Cat-5 cable. The DMC1 and its accessories can also be used to retrofit existing 6-wire intercom system installations. All room station models can select talk or listen to other room stations, door speakers and the master unit. Each has an intercom volume control. Pressing the privacy button on a room station prevents that room from being monitored. 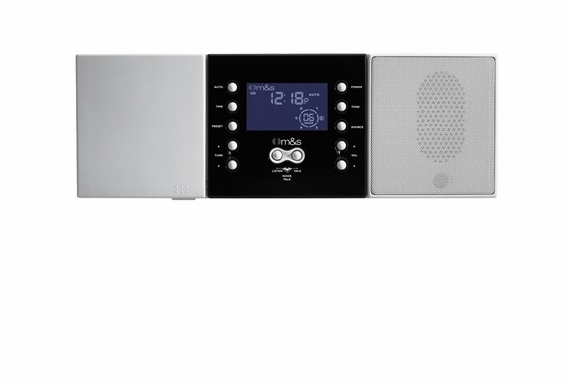 The Model DMC1RS room stations and DMC1RW patio stations can select the audio source, control the radio tuner, and set the master music volume. For access control, the optional Model DRW Door Release Mechanism can be installed and activated from the master unit or room stations. The optional three-note Model MC3 or eight-note Model MC8 chime modules provide a selection of door chime sounds. For master unit rough in and finish-out components, order the Model DMC1H Wall Housing Kit to mount the DMC1 master. If the optional Model DMC1MM iPlay Dock for iPod or Model DMC1CD Add-on CD Changer is used, order the Model DMC1F Combination Mounting Frame and the DMC1HC CD Combination Wall Housing Kit. I recently moved into a home built in 1986 which has an M&S whole house music & intercom system - I think it's a model 440/448. There are 4 satellite areas (3 bdrms + fmly room) + controls & speakers on the patio. The system also sounds the doorbell and there is a com speaker at the front door. Can I simply purchase this DMC1 and retrofit into my existing system?